A sad novel with a spunky narrator… Macy wants her father around for her 12th birthday. He’s come back from the war but hasn’t returned home where Macy longs to have him by her side again. This is a quiet story that will resonate with tween girls facing the tough battle to grow up before they know if they’re ready. Macy’s Mom is there to support her but doesn’t reveal the whole story behind the Dad’s lack of appearances. It’s up to Macy to find out on her own, or so she thinks. There’s help from an older boy with a bad reputation who lives in a foster home. It seems switching homes is a regular occurrence for him. Her best friend Twee is also around to provide support. The characters drive this story to its unpredictable finish. A rare tale about what military families often go through when their loved one returns. FULL PLOT (From Amazon) Macy Hollinquest is eleven years old, and don’t count on her to change that anytime soon. Many youngsters will recognize the situation of having a new baby in the house. Macy’s love of little Jack is humorous and heartwarming. Issues of friendship and loyalty come through loud and strong. Life’s train keeps pulling you forward and sometimes that means friends won’t be on the same ride. The secondary characters shine. There’s Chuck, the despised owner of the coffee shop in Macy’s eyes. Switch, the kindhearted juvenile delinquent. And Ginger, an old lady whose dog has gone missing. Mental health issues are brought forth not only from Macy’s dad but also through Ginger who lives alone and isn’t doing so well with the task of home ownership. A tough topic but young minds will feel compassion and a new understanding. The simple cover should resonate for eleven-year-olds who think a lot about life and the answers they don’t have yet. FAVORITE LINES: I poked at Jack’s belly-button stump that I had sealed up in a Ziploc bag. No one knew I’d saved it. When he was older, I was going to sneak in some night while he was sleeping and glue it back on him. Then I’d try and convince him it had grown back. It would completely freak him out. God, I can’t wait. AUTHOR QUOTE (From Mary Penney’s web site): When I was growing up, I knew I wanted to be either a nun or a soldier. It was going to be a tough call, until I hit puberty and realized that nuns didn’t wear make-up. I joined the Army the first hot second they would take me. It was not glamorous like I thought it would be, mostly just very hard work in the snow. And how many days in a row can they really expect you to wear green? 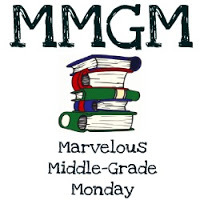 This entry was posted in Reviews and tagged Eleven and Holding, female protagonists, Marvelous Middle Grade Monday, Mary Penney, MG book reviews, Middle grade. Bookmark the permalink. Yes, it sounds like a lot of different things that kids could identify with–the new baby, mental health issues, and war. Glad you liked this. Thanks for sharing. First, the title is fabulous, and then I’m intrigued by the plot. It has to be good since it was written by an author with a sense of humor I can relate to. Sounds like an amazing read for when you want to take a break from all the action and excitement most MG books try to pack. May not be the book for me now, but maybe someday. I love quiet books and this sounds like an important one. I love the quote you chose. It really makes me want to read this book. Thanks for such a thoughtful review. I’m always looking for novels that deal with mental health issues and military parents. As we all know, war changes soldiers. I like how the author focuses on friendships that help Macy. Excellent review. And, I love the author’s comment.